Although the purpose of this blog is to focus on why and where we wear, sometimes (often) what also carries a story. Today’s story is about the what… and so much more. My daughter was born on August 21, 2012. For the first few months of her life we used our super comfortable, stretchy, Baby K’Tan. 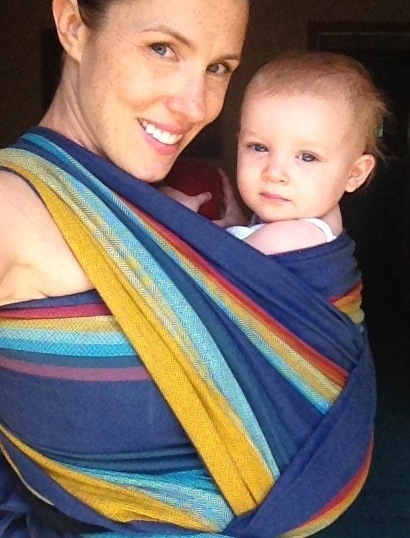 Babywearing quickly became central in our lives, and in late December I decided to start looking for more long term options so I could continue to wear her as she grew. =) I knew I wanted a woven wrap, and I was taken by the beautiful Girasol rainbows. Little did I know that this wrap search — perusing the internet for a simple piece of cloth — would have a much deeper and lasting impact. As I explored some options, I came across Micah’s Rainbow. 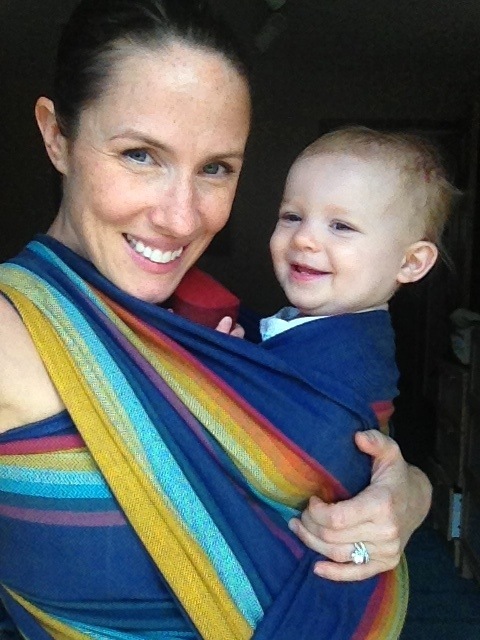 It is a story that has touched me in so many ways – it deepened my feelings about being a mother, it clarified how I understood the importance of babywearing, and it inspired me to find rainbows in every day, no matter how dark the clouds may be. In honor of their son’s life, Micah’s parents started a project called, “Micah Smiles“; it is a fund to support C.S. Mott Children’s Hospital’s music therapy program, which was so important to them during their time in the hospital with their beautiful baby boys. They have developed a variety of creative and meaningful fundraisers, raising almost $40,000 since December 2012! They started the Zachary & Micah Giving Library for other children and families at the hospital (they’ve collected over 3,000 so far! ), encourage folks to donate much needed blood to the Red Cross, have had cards made from a gorgeous “Tree of Courage” painting that hangs in the Pediatric Intensive Care Unit at C.S. Mott Children’s Hospital, and they worked with Elephant Ears and Girasol to weave an Exclusive woven wrap in Micah’s honor. Thank you for sharing Micah’s story.